Four Tet has remixed Bicep’s ‘Opal’, taken from the Belfast duo’s 2017 debut album, a crowning work (so far) from a decade-long career, distilling the influence of halcyon days club culture into their own unique sound. Likewise, Four Tet (aka Kieran Hebden) brings a distinctive track record to remixing. His rework of ‘Opal’ sees subtle rhythmic tweaks and additions: overlays of texture and hinted melodies, giving the track a more tender, contemplative feel. He also extends its running time, drawing out each of its component parts, and giving them space to breathe. Out today on all digital stores, the remix will also receive a vinyl release with a B side track from Bicep out 27th April. Bicep’s brand new single ‘Opal (Four Tet Remix)’ is out now. Pre – order the 12” ‘Opal (Four Tet Remix)’ today. 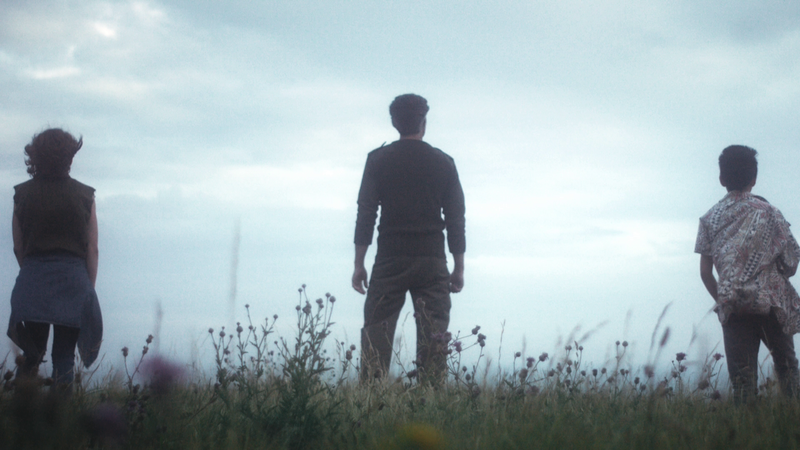 Bicep – the Belfast-born, London-based duo of Matt McBriar and Andy Ferguson – today release their first ever official music video for recent single ‘Aura’. Directed by Matilda Finn, who is just off the back of directing ‘Lost’ by Danny Brown. The video, which was inspired by the definition of Aura – the distinctive atmosphere or quality that seems to surround and be generated by a person, thing, or place – is a journey into a dream sequence where the viewer follows an elusive figure and those that are drawn to him on a journey to the edges of humanity. Since its release, ‘Aura’ has collected hundreds of thousands of streams and surged to the top 5 on Spotify’s Viral Chart, until then simply having been tagged as ‘Unreleased Bicep’ on countless bootleg recordings from recent gigs, uploaded by fans trying desperately to ID and get their hands on the track. The duo recently announced their biggest headline live show yet at London’s Roundhouse on 28 April 2018. The show announcement comes after selling out their Electric Brixton live date in 24 hours and sharing news of their self-titled debut album, to be released on 1st September 2017 via Ninja Tune. 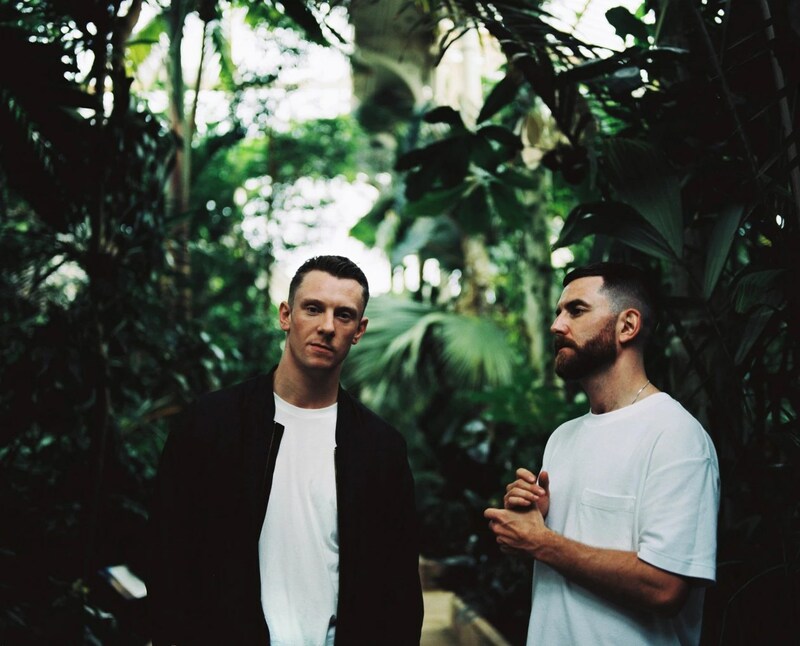 Earlier this summer, Bicep – the Belfast-born, London-based duo of Matt McBriar and Andy Ferguson – announced their eponymous debut album would be released September 1st via Ninja Tune. Since announce, the prolific duo have shared ‘Aura’, a propulsive club track and ‘Glue’, which reached #1 in Spotify’s UK Viral charts, a cut which embodies the raw energy of UK rave culture and could have emerged from the studio of Orbital or The Future Sound Of London at their trailblazing best. Today (premiered by The Fader), they share the album’s third and final single, ‘Vale’, a sprawling and atmospheric house cut, beautifully illustrating the album’s sentimentality. The duo also look forward to playing taking their epic live show to New York & Los Angeles this October, as well as a string of European tour dates, including curating a Feel My Bicep line up at The Warehouse Project in Manchester and Pitchfork’s Paris festival this autumn. The album “Bicep” is the perfect summation of the duo’s career to date – it’s a sonic tour of their history touching the cornerstones of underground club culture. Matt and Andy have pulled off the rarest of feats, to make a singularly unique electronic record founded on the blueprint of classic house, techno, electro and Italo disco, but flipped and morphed into a fresh design bearing the unique Bicep sonic signature. It’s a perfectly succinct album: loose, raw and energetic enough for the dancefloor, yet refined, artfully composed and contemplative enough for home listening. It is undoubtably one of THE dance albums of the year. Aus Music celebrates its tenth birthday this year, as well as its landmark release number 100 – fittingly enough. Will Saul‘s imprint has spent the last decade lovingly building its reputation as one of the most trusted and respected labels for dance music the UK, and quite possibly worldwide too. Joy Orbison’s So Derobe, Ramadanman’s Void 23, George Fitzgerald‘s Child, Leon Vynehall‘s Brother, Bicep‘s Just – it’s likely that Aus Music has soundtracked your most memorable and significant club moments. To mark two milestones in Aus history, the label presents a 24-track quadruple vinyl/triple CD/vast digital compilation set to drop this summer. Composed of entirely new and exclusive tracks, the compilation is built up by key members from the Aus family as well as boss Mr. Saul himself – Bicep, Midland, Huxley, Deetron, Nick Höppner, Pearson Sound, Youandewan, Marquis Hawkes, Gerd, Sei A, Bwana, Fold, Shenoda, Appleblimand Komon. “It’s our honour to be hosting a five-part Debut series in conjunction with Aus Music, consisting of one Debut a week for five weeks running up to the release date; as well as a very special Boiler Room x AUS100 takeover in London. Joining the celebrations will be Nick Höppner, Marquis Hawkes, Will Saul and a secret guest to be announced the day before. Following on from Isaac Tichauer’s ‘Street Lessons’ release, the mysterious LOFT Records calls in the talents of Bicep, Hackman, Dorsia and Lancelot for a choicest remix package. The Australian producer turned many heads when he dropped his lauded ‘Devotion’ LP back in 2012, and since then he’s risen to become a formidable name within modern day electronic music. Therefore it’s only fitting that an all-star cast were chosen to remix his latest release on LOFT Records. Bicep, who had an enormous 2015 with releases on Aus and 50 Weapons, begin the release with the only remix of ‘Higher Level’ – a break infused cut fashioned for the dancefloor with a penetrating melody, echoing vocals and soaring pads. The first of three ‘Street Lessons’ remixes then comes from Hackman, known for his work on 20/20 Vision and Futureboogie, who incorporates serene synths and subtle stabs to transform the original into a quirky renovation with elements of funk. London duo Dorsia then step up with a cacophony of sounds that build in suspense with the introduction of fuzzy atmospherics, until fellow Australian and W&O Street Tracks artist Lancelot generates a cavernous dub containing the originals infectious hook whilst implementing resounding rimshots and wobbly keys. Isaac Tichauer ‘Street Lessons Remixes’ drops on LOFT Records in 4th April 2016. London-via-Belfast-based duo Bicep return to their own Feel My Bicep imprint with a new EP called “Dahlia”. The title track from this forthcoming collaborative release with Hammer (an artist the Belfast boys are putting serious muscle behind) can be stream below. It hooks you in from the word go, with a nagging piano lead, ooft-y mini breakdown and shiver-inducing sirensong calling through the mist. 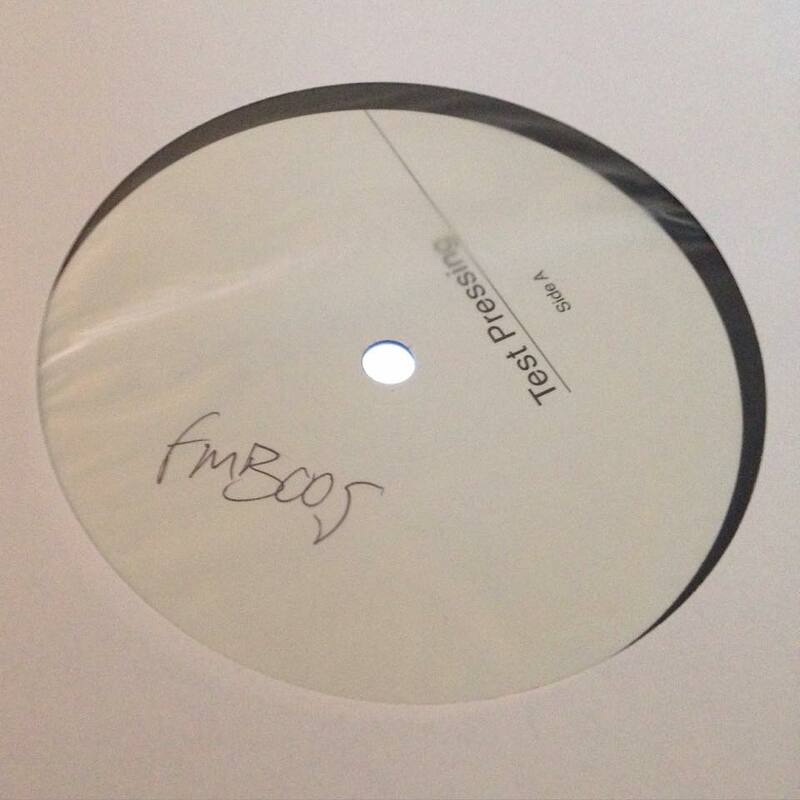 Out on 12″ on September 7th on Feel My Bicep, while the digital version comes out on September 25th. Pre-order your 12” here.